Have You Used the Deer Head Pattern? 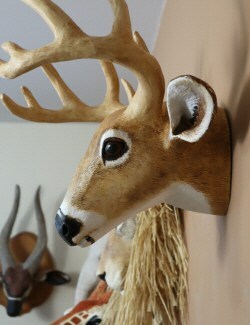 Send an email to [email protected], and I’ll put your review above the comment section on the Deer Head pattern page. That way, it won’t get lost among the thousands of other comments on the site, and more people will get to see it. 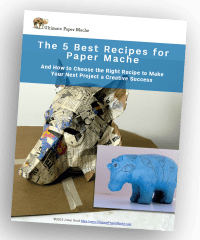 Remember to put “paper mache” in the subject line. I receive over 200 emails a day and I don’t want your email to get lost or accidentally deleted. We would love to see how your sculpture came out. Attach a photo to your email if you’d like it included with your remarks. There’s no need to edit the size of the photo, like you would for the regular comment section – just send it to me, and I’ll take care of the rest. And thanks! Customer reviews are really important for an independent artist like me, and I really do appreciate every single one I receive! Click here to go back to the Deer Head pattern page.